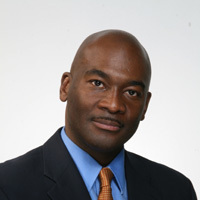 Dr. Brian K. Perkins is the Director of the Urban Education Leadership Program at Columbia University Teachers College Department of Organization and Leadership. In the past two years, Dr. Perkins has reorganized the UELP under a dynamic new conceptual framework. He also directs the Superintendent’s Work Conference (started in 1941) at Teachers College. He is the former Chair and Professor of Education Law and Policy at Southern Connecticut State University in New Haven, Connecticut. Dr. Perkins is a distinguished Yale alumnus and was named a Timothy Dwight Fellow in 2004. He was a member of the research faculty at the Yale University School of Medicine. He has served as a consultant to school districts throughout the U.S., India, Brazil, the People’s Republic of China and the Republic of South Africa. Dr. Perkins is the author of several published articles and book chapters and serves as the Principal Investigator and Author of Where We Learn (2006), Where We Teach (2007) and What We Think (2008) – the largest studies on urban school climate in the history of public education. Dr. Perkins lead a ground-breaking study and improvement initiative of school climate in Rio de Janeiro, Brazil. His forthcoming manuscript, Improving School Climate from the Inside Out, is under review and is scheduled for release next year. Dr. Perkins has traveled extensively in sub-Saharan Africa and led annual delegations of educators to the region for over a decade. Dr. Perkins received his Bachelor of Science Degree in Chemistry from Grambling State University, a Master’s Degree in Public Health from the Yale University School of Medicine and his Doctor of Education Degree from Columbia University Teachers College.